Residents of Gowanus are not immune to pest infestations. The entire Brooklyn, New York area has had a massive increase in pest populations. As more people move into the city, various pests also move in as well. Because most pests are attracted to food and shelter, and naturally that means more places for pests to invade. 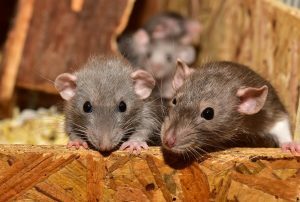 Perhaps one of the most notorious pests that have infested entire areas of New York are rodents like rats and mice. They enter homes in search of food and warmth. Any small gaps or openings around your home is enough room for them to squeeze in. Once inside they will find a warm area to nest where they can then give birth to a litter of babies. Which is why it’s so important to get rid of them as soon as they get in because rodents reproduce rapidly. The other major risk is the fact that rats crawl and scavenge through garbage and sewers. Their bodies become littered with bacteria and germs making them capable of spreading disease and contaminating our food. Rats are infamous for spreading several diseases putting you at risk. It’s imperative to contact a rat removal expert to remove them at the first signs of rodents. They will also help you to prevent any future infestations by giving you tips you can follow, and seal off any entry points the rodents may be using to get into your house. 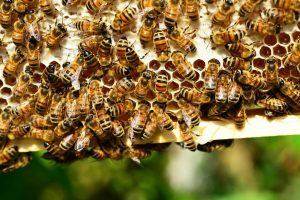 There are several types of stinging insects that can build a nest in your backyard and around your home. Some don’t pose any real threat to you, like honeybees for example. But there are others, like wasps and hornets, that are very aggressive, and will attack you, multiple times even. Bee stings are painful and cause severe swelling. For many people that are allergic to bee stings though, besides these symptoms, they can be life-threatening. In worst case scenarios; even fatal. For a lot of pests there some DIY methods you can attempt to use to get them out of your home. They usually don’t work, but at least most won’t have any negative side-effects to you. But when it comes to removing a bee hive you should absolutely never attempt to try to take down yourself. This is definitely something you should leave to a professional bee removal expert to handle. If your home has any leaking faucets or pipes, this could be a huge attraction for cockroaches. They are drawn to damp and moist areas. Also, any discarded food or leftovers not properly stored away could be another major reason roaches are coming into your home. The major problem with roaches are the diseases that they carry, and they can spread to humans. Worst of all about cockroaches is the fact that most people don’t even realize that they have an infestation in their homes. They are nocturnal so you won’t see them during the day. If you do happen to see one or two of them when you turn the lights on you’ll notice that they scurry away. Unfortunately, roaches don’t infest an area a couple at a time; there are always a lot more hiding somewhere in your home. 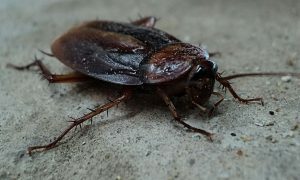 In these cases you will need a professional cockroach exterminator to root them out. Similar to cockroaches, ants invade in huge numbers. And it doesn’t take much to attract them. Sometimes even just a couple grains or crumbs of food could be enough to bring them in. 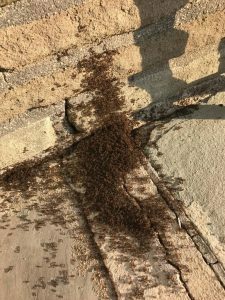 It could start with only a few ants, but from there they will contact other ants from the colony, and a lot more will make their way into your house. To help avoid this, be sure to clean up all crumbs, and keep any leftovers in tightly sealed containers. There are many store-bought products and DIY methods that claim to eradicate an ant infestation. Not surprisingly, they are too good to be true. Most of them do not work. At best they will eliminate the ants that you can see, and offer only temporary relief. To completely get rid of an ant infestation you need to enlist a professional ant removal expert. A trained professional will be able to remove the ants in your home, the colony itself which is the source of the infestation, and will give you long-term relief from ants too. People in New York are probably more fearful of bed bugs than any other pest. For the mere fact that they are the most difficult pest to detect. The other fear is accidentally bringing bed bugs into your home. And for a good reason, because it is incredibly easy to get them. All they have to do is simply hitch a ride onto your clothes, and then you unknowingly bring them into your bedroom. Also, you can pick one up from anywhere, from a hotel room to a movie theater to a gym locker. As hard as they are to detect they’re even harder to get rid of by yourself. 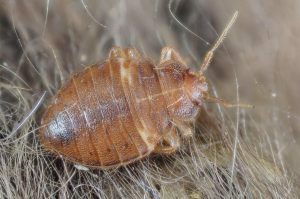 Our bed bug experts have the skills and knowledge to detect them. They use special heat treatments that eliminates all the bed bugs, even the ones in the crevices of your mattress. Not only will the bed bugs be exterminated, but any eggs as well to prevent a future infestation too. We will continue to monitor your home for bed bugs to make sure your entire home remains free of bed bugs. If you are in need of pest control services in the Brooklyn, New York area don’t hesitate to contact Bugged Out Pest Management for their expert pest control services. We service a variety of pests, and we will work with you to customize a plan to effectively meet your specific pest control needs. Give us a call today!